The cortex and medulla are separated by a network of large capillaries and lymphatic vessels. At the medullar side, a layer of undifferentiated epithelial cells, the cortico-medullary epithelium, lies against the capillaries and continues up to the surface epithelium. 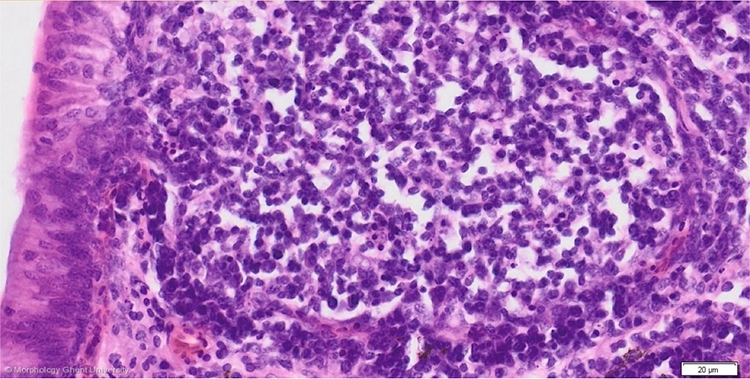 The basal lamina of the cortico-medullary epithelium continues as the basal lamina of the interfollicular epithelium.